Garth Crooks has told Manchester United manager Jose Mourinho just how important the fitness and form of Paul Pogba and Anthony Martial is to the club’s top four hopes this season. The French pair were in superb form for United against Everton on Sunday, helping the club get back to winning ways with a 2-1 victory, scoring each of the side’s goals against the Toffees. Martial’s fine display earned him a place in Crooks’ team of the week on BBC Sport, and though there was no place for Pogba on this occasion, he also earned the pundit’s praise. 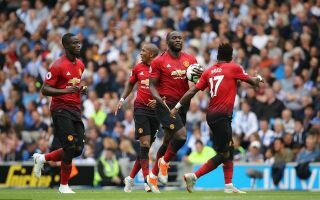 In a message Mourinho may want to take note of, Crooks singled out the pair as being crucial to United’s hopes of making the top four this season after their patchy start to the campaign. ‘When a Jose Mourinho side are winning, they are the most boring team on the planet. When they are chasing a game, they can be most exciting,’ Crooks said. ‘Fortunately for United, they have Paul Pogba and Martial creating at the moment. Martial is in sparkling form, with two goals against Chelsea last weekend and another against Everton on Sunday. Despite the Red Devils’ poor form, they remain just five points off the top four at the moment, so will hope they can keep Pogba and Martial firing.